Craig Biggio was elected to the National Baseball Hall of Fame on January 6, 2015 becoming the first Houston Astro elected. He played his entire 20-year career with the Houston Astros collecting a total of 3,060 hits, 1,175 RBI and 414 stolen bases. On June 28, 2007, the 7x All-Star became the 27th player in history to join the 3,000 hit club. In 2008, the Houston Astros retired his jersey #7. 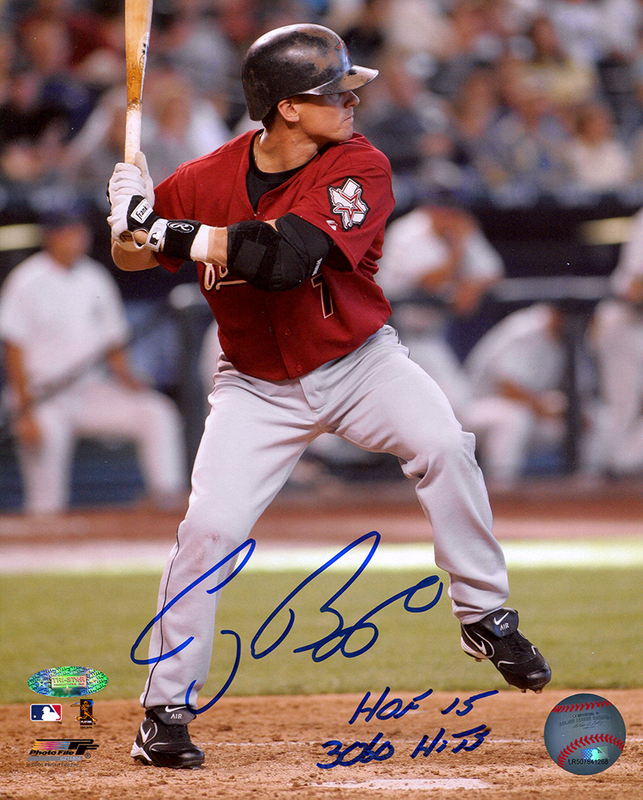 These Houston Astros 8x10 photos have been personally hand signed and inscribed "HOF 15" & "3060 Hits" by Craig Biggio. Each autograph is guaranteed authentic, and includes an individually numbered TRISTAR Authentic hologram. Copyright TRISTAR Productions. All Rights Reserved.